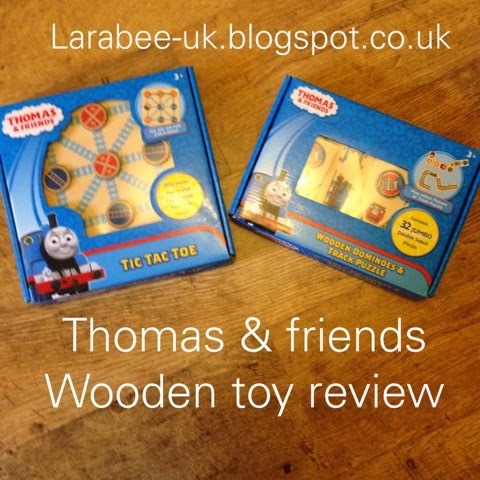 We were recently contacted and asked to review some Thomas & Friends wooden toys from www.Treetoys.com I'm all for toys from natural resources and so jumped at the chance. 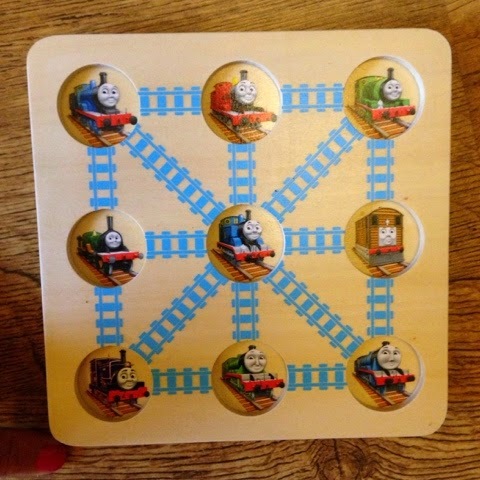 Although T has a few Thomas & Friends toys and DVD's it's not something that he's ever been particularly into, I thought he'd like the games as much as them being Thomas & Friends. 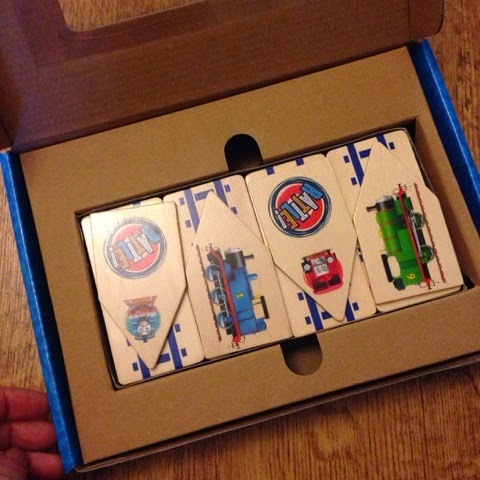 The first thing which struck me was the quality of the toys, the boxes also were really durable and so the toys could be stored neatly a big bonus in my book. 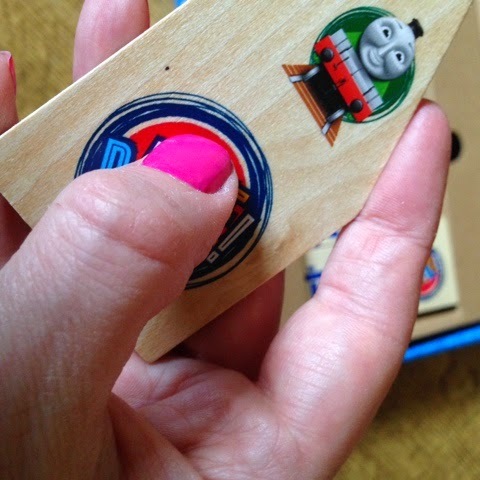 The quality of the printed images was really good too, they are not stickers and cannot be easily scratched off! 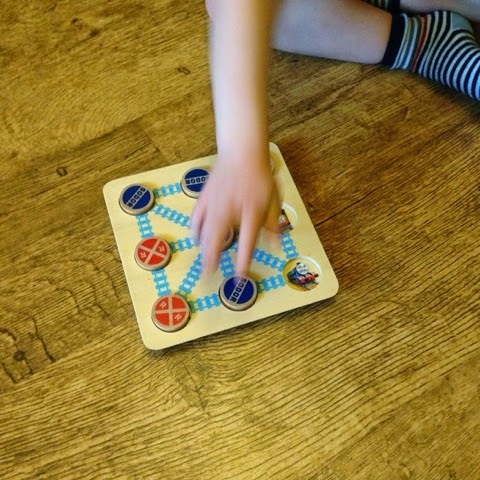 We were sent 2 games to review tic-tac-toe and domino's both are games that T is familiar with. 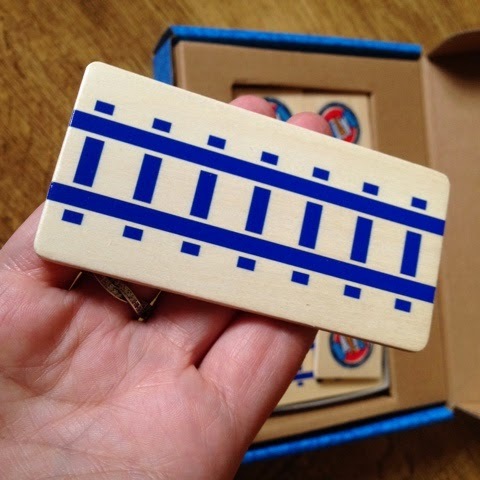 As you would expect with Thomas merchandice, the illustrations are beautiful and really clear. 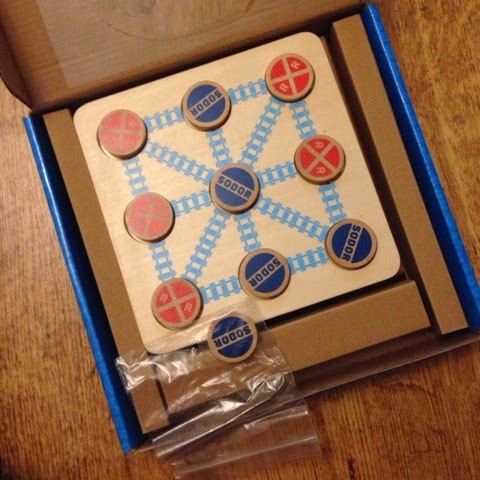 We loved playing tic-tac-toe, because it's not too big we will be taking these out with us to grandparents, when we go away to Eastbourne later this month and when we visit Bluestone next month. The domino's were of equal quality, with lovely pictures and included some of the newer characters too. 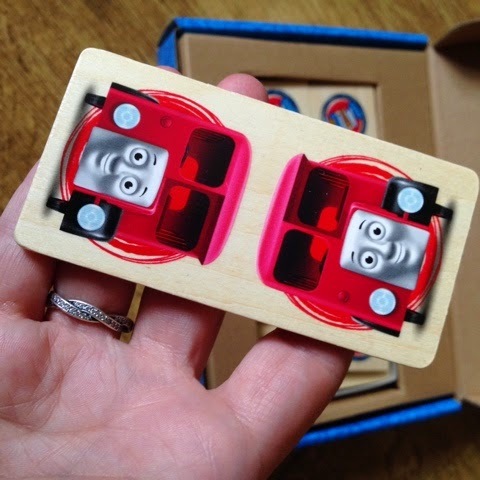 Because of the high quality it was easy to tell the similar characters apart, I personally get confused with Percy and Henry, but the high quality illustrations made them easily identifiable. 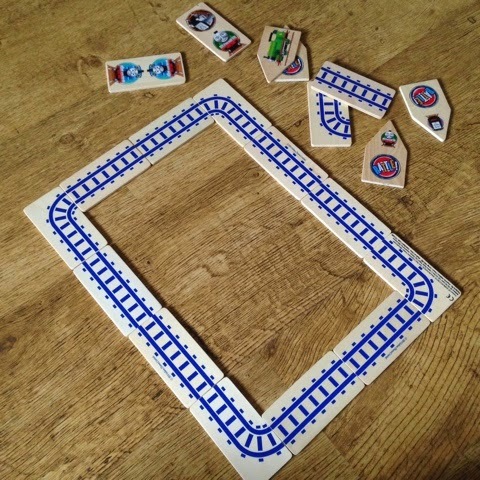 On the reverse of the domino's is a track puzzle, T loved setting up the track, there were plenty of pieces to make a decent sized track. 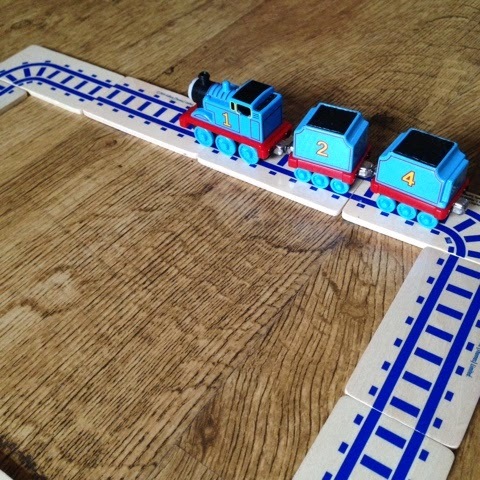 T's smaller Thomas engine fitted perfectly onto the track. 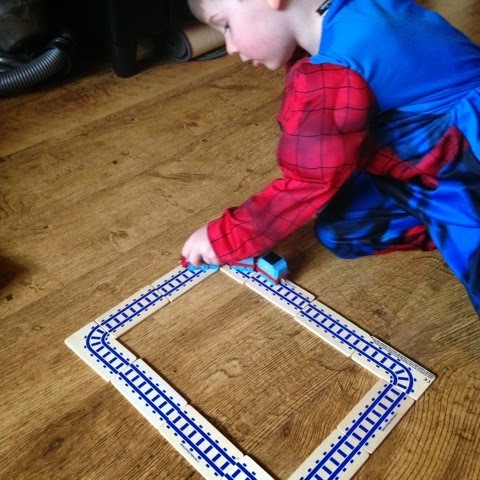 Although the track did break up when T tried to run the trains around which could be more to do with T being a bit heavy handed! 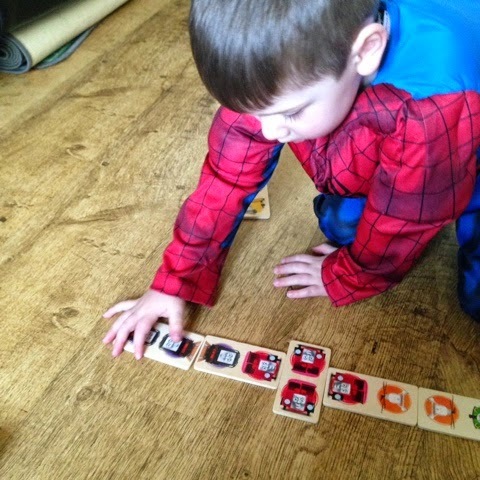 We had lots of fun playing domino's which really helps with T's concentration and 'staying' power. These toys were not something that I would have bought for T, but they are now firm favourites and I would highly recommend.